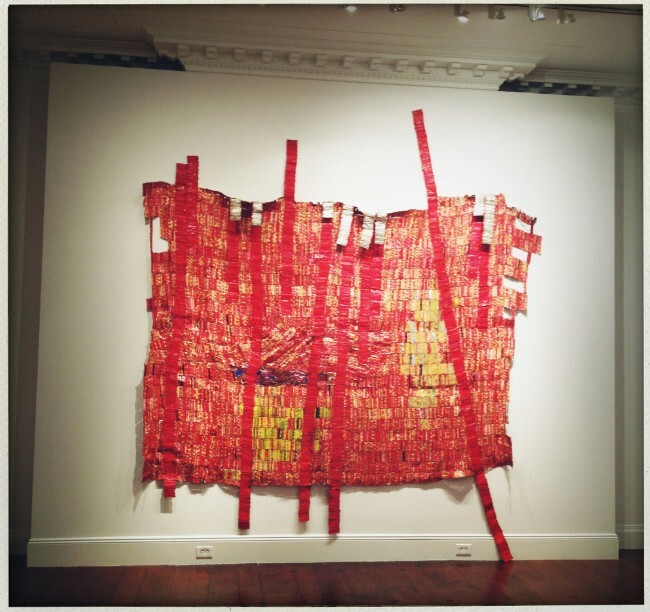 This past weekend, on our way to yet another Halloween party with our daughter (which, I might add, had quite possibly the best holiday themed snacks I’ve seen outside of Pinterest) we stopped by the Mnuchin Gallery to have our breath taken away by the beautiful work of the Ghanaian artist El Anatsui. 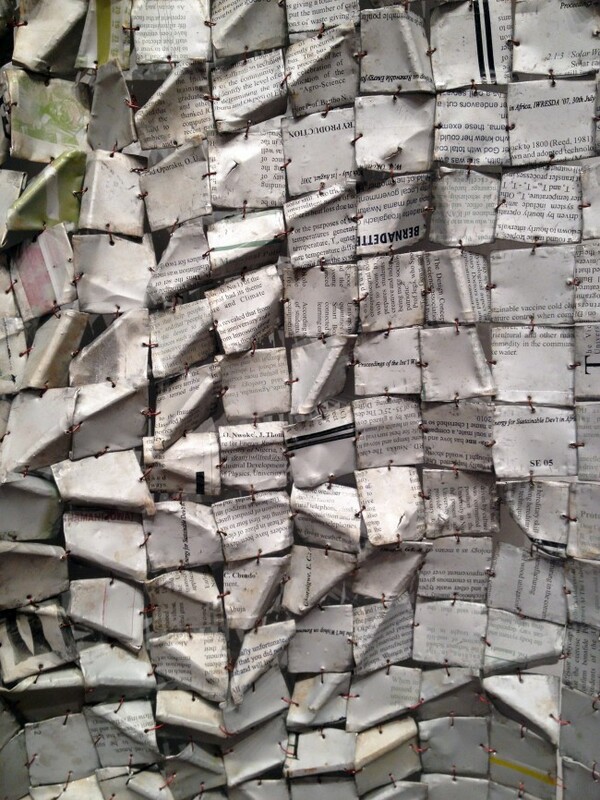 a detail of Metas II, one of the pieces in the Mnuchin show. This detail gives you a bit of an idea of how the pieces are constructed… they are sculptures and quilts and installations all in one, transforming locally common found objects (basically trash) into profound and moving pieces of social and cultural commentary. El Anatsui has been described as a post industrial african urban pointillist, and while that doesn’t roll off the tongue all that easily, I think it’s an accurate description of his work. This Art 21 video does a great job of describing his process and is well worth watching. Even my 6 year old daughter was mesmerized. 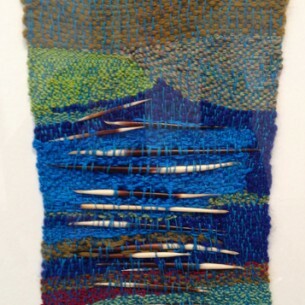 The exhibit, consisting entirely of work made in the past year, is not to be missed, and it’s open through mid December. 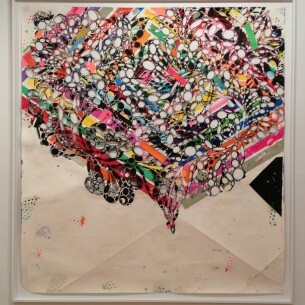 If you can’t deal with the upper east side, there is another show of his work at Jack Shainman in Chelsea, but you have to get there before the 15th of this month. If you want to learn a bit more about the work, check out this slide show on the New York Times’ site… it has images from the Brooklyn Museum as well as a bit more information about the artist. 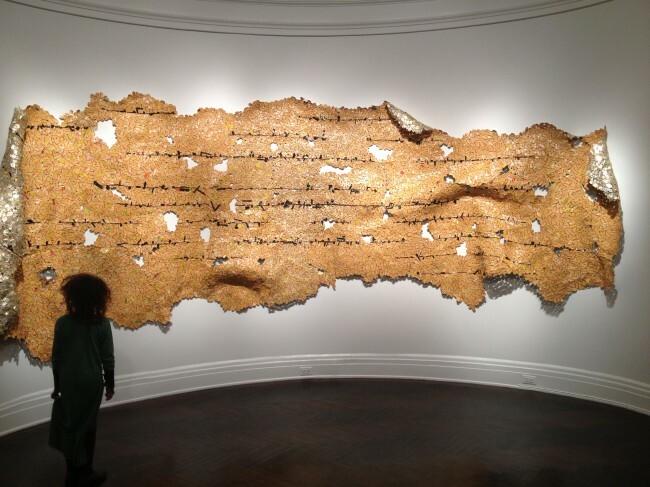 Disciples, by El Anatsui at the Mnuchin Gallery. Every time a new person walked into the space, you could hear them gasp with wonder. In these strange and uncertain times, with so much craziness going on in the world, it is lovely to know that there is still a way to tap into our childlike sense of wonder. Please go and see this man’s work and tap into yours.